Two men, one armed with a shotgun, robbed a bakery in the Logan Heights area and made off with the cash register, but no one was injured, police said. SAN DIEGO (CNS) - Two men, one armed with a shotgun, robbed a bakery in the Logan Heights area and made off with the cash register, but no one was injured, police said. 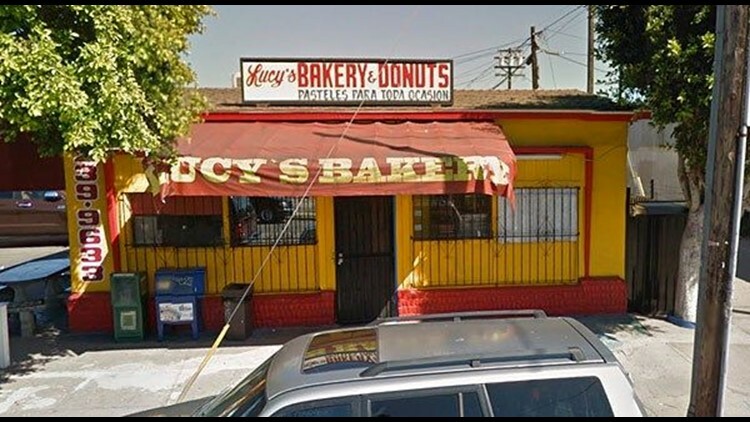 The robbery at Lucy's Bakery and Donuts at 31 S. 31st St. took place about 8:35 p.m. Thursday, said San Diego police Officer Robert Heims. Two men wearing masks walked into the bakery, one armed with a shotgun, Heims said, adding that a clerk who saw the weapon ran out of the store along with another employee. The other suspect waited at the door, Heims said. The first suspect grabbed the cash register and ripped it from the counter and both robbers ran out with it, he said. There was no immediate word on how much money they stole. The suspect with the shotgun was wearing a black mask, black jacket, dark pants and dark gloves and the second wore a black beanie, a white shirt wrapped around his face, a blue shirton his torso, gray pants, white gloves and black shoes, Heims said. Ethnic characteristics could not be determined. Anyone with information on this robbery was asked to call the SDPD at (619) 531-2000. Tipsters can also call Crime Stoppers at (888) 580-8477.